You Could Be Home By Now (Tyrus Books, now out in paperback) unfolds in The Commons, an expensive, exclusive Arizona retirement community where regulations prohibit full-time residents under fifty-five years of age. It's the height of the housing crisis and a resident who is underwater on her mortgage and unable to relocate is revealed to be raising her grandson in secret. So the community, which is essentially built on the promise of folks having a well-earned really good time, now has an ethical conundrum to stir things up. I have three fairly damaged (but desperately trying not to be) narrators navigating both the secret grandchild issue and their own complicated lives, and their good impulses and bad mistakes make You Could Be Home By Now either a very, very funny sad book or a very, very sad happy one. The initial inspiration was an NPR story I heard while driving down a country road (in the futile hope my then one-year-old twins would fall asleep) that featured The Villages, a Florida retirement community that's a hyperconcentrated on of the version I created in You Could Be Home By Now. I was completely intrigued by the setting, and more so by the question of who keeps the community going if everyone's retired. Characters followed quickly (well, quickly in writer-time) from there, as did a rough sense of how the story would unfold. Of course, book writing is a long process (for me at least) and so other tensions and inspirations fueled me along the way. I suspect a lot of the book's emotional oomph comes from witnessing my parents and in-laws develop relationships with their first grandchildren. I love the cover but can take zero credit for it; I'm a terrible visual thinker. The team at Tyrus Books came up with the image of the antique toy truck and it felt exactly right. Almost everyone in the book comes to The Commons from somewhere else, so the moving truck struck the perfect note, and the fact that it's both a toy and quite old speaks to some of the book's themes of aging and grief without being gloomy. It's an image that's completely in keeping with what I was trying to accomplish while not being something I'd ever come up with myself. Every time I see it, I'm wowed. Confession: I'm going to be terrible at this question. When I get really (or even nominally) into a movie, I get so caught up in the characters that the actors playing them don't really register. I'd hope that the actors would take that as sign of my appreciation of their craft--and will also take this as an opportunity to apologize to everyone I've ever let down by flubbing "who-played-which-character" questions during Pub Quizzes. Of course, there's always an exception, and if I were the boss of the universe (or at least a casting director), I would love to seen Kiernan Shipka play Lily, the teen-aged visitor to The Commons who discovers the secret grandchild and does some serious growing up as the book progresses. Lily is just so much fun: a snarky, lesbian beauty-blogger and math whiz who is so much more tenderhearted than even she knows. It's a role that would require reluctant fragility and killer comedic timing--does anyone out there happen to know Ms. Shipka's agent? Is it part of a series or is it a stand-alone novel?Stand alone. I've put my poor characters through enough already. Jokes aside, I like that the book ends on a good note. Not a tidy one--these are characters with untidy feelings--but with the sense that everyone has struggled toward the forward momentum their lives need. Following through on that trajectory would be, I suspect, smooth sailing for the characters but fairly dull for their readers. The setting is the heart of the book--it's a story that really could only take place in an upscale retirement community with scads of rules, and I found that the more I developed The Commons, the more assured the characters, voice, and overall story were. I've always been a sucker for the sprawling, old, provincial novels, and there is (in retrospect; I wish I'd been clever enough to realize that was what I was doing from the start) something of that at play in You Could Be Home By Now, with all the characters stuck with one another and ping ponging off the bounds of very specific mores. In a world as mobile as ours is, I think an intentional community like The Commons is one of the few settings where that kind of narrative tension can be replicated. I love literary fiction for its emotional messiness, for the closeness of observation involved, and for its general sense that things can be--like life--sad and funny and beautiful and exhausting simultaneously. I suspect nine out of ten authors you ask would say "reading really good books," and I'm no exception. When I'm working on a book, I'm working on the kind of book I like to read, and will sometimes get that reader's brain fizzing rush of discovering a passage or plot twist that's gorgeous and surprising and just right, only it's coupled with a touch of "whoa, I did that. Wow." There's nothing like it in the world. And I'll confess that there is an ego factor. People said I was good at writing growing up, and I liked those compliments and worked hard for more, got better, garnered more praise, kept on working, and thirty years later, here I am. It's not that simple, of course, but still, I do owe a tremendous debt to those very early cheerleaders. I've had many day jobs that involved data entry and luckily retained a mental roster of names (mostly first names) that hit that ideal combination of uncommon, believable, and pronounceable without being heavy handed or unbearably symbolic. Surnames are trickier, but Facebook is a great resource for that. I've absolutely plucked a surname or so from the comments in friends' and friends-of-friends' posts. Names are something I try not to stress over too much in early drafts, because the "find and replace" function makes switching them up relatively painless and there are so many fantastic character (well, baby, but the result is much the same) naming websites out there that I could easily spend hours searching for the perfect name, convince myself that it counted as writing, and never actually get anything done. I'm not sure it's fair to say struggle, though if for some reason I absolutely had to come up with the final title for my current work in progress right this minute I can guarantee it would be a bad one. 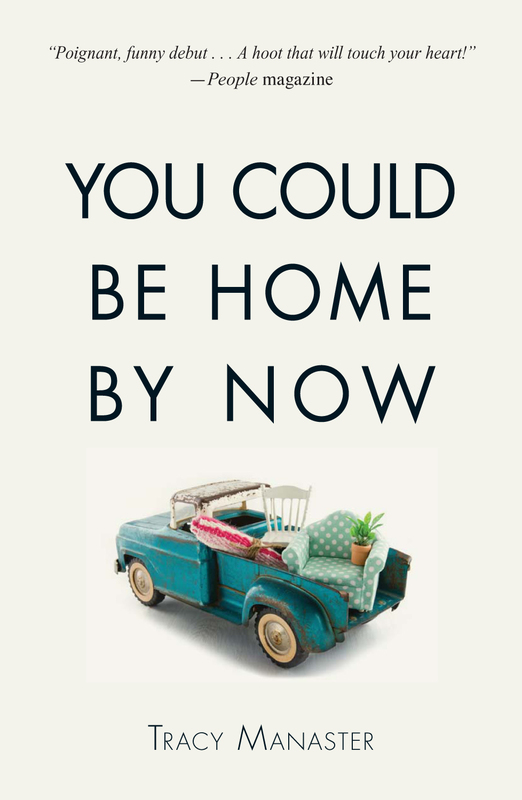 If I recall correctly, You Could Be Home By Now was the fourth title I came up with. Each iteration got me closer--in feeling, if not in precise wording--to the the final one (which I couldn't be more pleased with). For me at least, writing a book is a long process. The titles get better as the book approaches completion, and it's one of those things that at this point I simply trust I'll figure out. I'm going to go with Middlemarch. You can't talk about being a sucker for sprawling provincial novels and then not say Middlemarch. Above all, good books. I bet all the authors you interview say that. I've very much a coffeehouse/cafe writer (though perhaps that would change if I bought a fancy coffee maker and cleaned and reorganized my home office). I love the bustle of other people around me (writing can be a lonely venture). And tackling my work in a public space makes me accountable in a way that working at home really doesn't. Also, I really, really like coffee. With You Could Be Home By Now, I actually had a preferred coffee shop for each of the three main narrative voices. It wasn't something I set off to do deliberately, but I was pleased and amused to realize it was a habit I had fallen into. I love the 1935 (I think? I did mention that I'm not particularly good with movie trivia...) Anna Karenina, which is weird, because it omits many of my favorite parts of the book and to a modern eye many of the performances--not to mention the overall look--feel stilted. But Greta Garbo (see? I do know an actor's name! )'s performance actually furthered my understanding of the Anna Karenina character and made re-reads more nuanced and enjoyable. After seeing that movie, I read the character of Anna not simply as Anna, but as Anna-who-sees-herself-as-if-Garbo's-playing her. Margaret Atwood and Kate Atkinson. I have seen all of Shakespeare's plays except King John performed live, and would drive upwards of one hundred and fifty miles for a chance to complete the cannon. I confess I punted this one to my husband, who says Susan Sarandon twenty years ago. I also confess to swanning about as if I were being played by Greta Garbo, but not when anyone else is watching. It's the nineteenth place and thirteenth state I've lived in. On a clear day I can see four mountains and two rivers, so I'm pretty sure I'm here to stay. I'm toggling between the final draft of another work of literary fiction and an early draft of a young adult project, while debating which of two little seedling ideas I should nurture into the next book after those. So my head is very cluttered (in a good way), and my ambition is to clear it by writing all of those books, and writing them as well as I possibly can. I've been a SCUBA diver since age twelve and have grand ambitions involving the Great Barrier Reef. There's something particularly haunting about the Persephone and Demeter myth, and the idea of this warm and vibrant mother seeking her daughter in the grim underworld. Without revealing too much, there is a thread of that in You Could Be Home By Now. I think that diversity of ambitions--and the specificity with which I imagined myself living them--may have a lot to do with my winding up a writer, thinking all those what-ifs and then writing them down. Tracy Manaster is a graduate of Wesleyan University and The Iowa Writers' Workshop. She was the 2006 recipient of the National League of American Pen Women's Joanna Catherine Scott prize for novel excerpt. Her nonfiction has appeared in iAgora and Moxie magazines and as interactive exhibit texts for the Smithsonian Institution's National Museum of American History. She lives in Portland, Oregon with her husband and twin daughters.